A client-server architecture in most cases will mimick your network topology, simply due to the services hosted by the server to each client on the network or networks. This is the most common architecture in most business offices, and most realize the server and the supporting network is the heart and soul of their IT assets. And downtime of a server that is heavily relied upon by your entire office staff can be frustrating, but also leave a crater in your bottom line. Today's servers are state of the art technology devices designed to perform under heavy workloads at peak efficiency. And most well planned server implementations are configured with failure protections in mind such as error checking RAM, fault tolerant storage arrays, and redundant power supplies. However, after a server is built and integrated into an organization's workflow, that's only the beginning. We routinely find that many of these systems are running well past their prime without the necessary management and monitoring required to ensure maximum performance and reliability. And these scenarios ALWAYS lead to a server failure. It's never a question of "if", but "when". We provide our clients with routine server management and monitoring and identify issues before they become problems. In addition, we ensure the integrity of your systems and your disaster plans are tested, and altered or improved as necessary, so that a prompt and complete recovery can be achieved in the event of a system failure. In fact, our management and monitoring techniques we implement for our customers are proven by our 99.9% (or higher) uptime reliability over the past 20 years. And that level of uptime in any organization is worth the initial planning and investment. We utilize many of the same techniquest for managing client desktops, laptops, and other devices. But the impact of a single client failure poses a significantly reduced threat to an organization. A reduced focus on monitoring and managing clients is possible as long as some industry basics are adhered to. Steps such as enforcing the use of strong passwords for each user, use of a "GOOD" antivirus solution, and some basic security adjustments will ensure your clients will provide a great return on your investment for several years more than one might expect. PC Avenues does not thrive on selling the "lates and greatest". In fact, we urge our customers to invest only in "business class" hardware solutions which helps ensure a longer service period, thus extended your return on investment. We believe that a good system refresh cycle is one that selects only systems that exceed 5 years of service. And any system approaching 7 years in service, should be replaced if there is a corporate level of dependency on that system. We take a common sense approach to our management and monitoring of our customer's system and we've been told that it is a "breath of fresh air." We hope you will think so as well. PC Avenues services all major makes and models of Servers and PCs as well as custom built systems. From strange beeps at startup to malware and virus removal, we get your systems operating normally and responsively again. With PC Avenues, you can rest assured that you are receiving the best service from repair professionals that not only understand the hardware operation, but are also well versed in the system's applications. Our experience with email servers, web servers, machining controllers, database servers, and accounting systems provides the required knowledge to get your systems up and running quickly. We provide our computer repair services to residential and business customers alike. Our technicians resolve the problem and provide insight to assist in avoiding future issues. We offer onsite computer repair services for Jasper, Big Canoe, Ellijay, Ball Ground, Waleska, Canton, Woodstock, Acworth, and Roswell. Travel fees are incurred when travel exceeds 30 miles. Active Directory Security / Permissions analysis and maint. 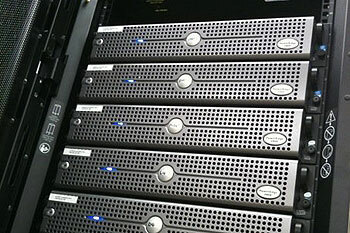 Contact us for a free server-client service estimate.